X had unlawfully entered Hong Kong a number of times since 1999. On some occasions, X was convicted of criminal offences, and the Director of Immigration (the “Director”) successfully repatriated X to mainland China six times. During those occasions, X claimed different names, birthdates and addresses. X entered Hong Kong unlawfully again in January 2007. In 2008, the Director issued a removal order against X (the “Removal Order”) but had not been able to repatriate X to the Mainland as the relevant authorities were unable to confirm that X was a resident there. X claimed that he was a stateless person and asked the Director to recognise his status as such. In 2015, X applied for judicial review and was granted leave to challenge the Director’s delay or constructive refusal to regularise his immigration status. Subsequently, the relevant mainland authority confirmed that X was a mainland resident, and that it was prepared to accept his repatriation. The Director applied to dismiss the judicial review on the basis that the issues raised were rendered academic. X raised several cross-applications, inter alia, to amend the Form 86 to challenge the Director’s decision to enforce the Removal Order on the ground of breach of duty to satisfy himself that the evidence provided by the mainland authority to confirm X’s identity was proper and credible. 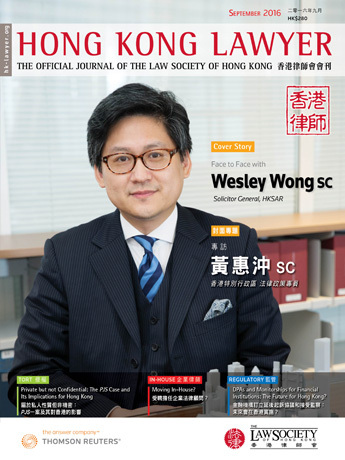 Once the Director was satisfied that a removal order should be issued against X because he had no right or permission to remain in Hong Kong, the next step was to arrange his repatriation. The identification process was concerned solely with whether the place to which X was to be returned would accept him. That exercise was and could only be carried out by the mainland authority, not the Director. The Director did not have any fact-finding duty. Fairness would only require him to provide all the relevant information and materials in his possession to the mainland authority to enable it to carry out the verification task. If X still contended the mainland authority had wrongly identified him, he could and should challenge this before the appropriate tribunal on the Mainland. Accordingly, the Director was entitled to enforce the Removal Order by repatriating X to the Mainland.